A major study examining the fish-eating habits of pregnant women has found that they are not linked to autism or autistic traits in their children. Scientists at the University of Bristol looked at the assumption that mercury exposure during pregnancy is a major cause of autism using evidence from nearly 4,500 women who took part in the Children of the 90s study. Using analysis of blood samples, reported fish consumption and information on autism and autistic traits from one of the largest longitudinal studies to date, researchers found no links between levels of mercury in the mothers and autism or autistic traits in their children. The only adverse effect of mercury found was poor social cognition if mothers ate no fish at all, especially for girls. Lead author and founder of the Children of the 90s study Professor Jean Golding commented: “Our findings further endorse the safety of eating fish during pregnancy. Importantly we’ve found no evidence at all to support claims that mercury is involved in the development of autism or autistic traits. In October 2017 the University of Bristol presented a policy briefing document to government departments explaining that current advice for pregnant women is complex and confusing and may encourage women to limit or avoid eating fish altogether. Wellcome Trust Research Fellow at the University of Bristol Dr Caroline Taylor contributed to both the new research and policy document and added: “All species of fish contain traces of mercury, which can harm brain development, but we’ve found that the health benefits of fish, probably from nutrients such as vitamin D, omega-3 fatty acids, selenium and iodine, outweigh the risks from mercury. “The advice on eating fish when pregnant is complicated and overwhelming. 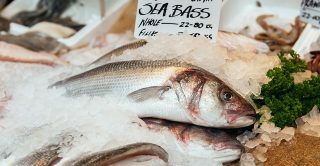 There is now a body of evidence to support a simpler and clearer approach that maximises the health benefits of fish. “At The National Autistic Society, we welcome all research which furthers our understanding of autism. This is a robust study which confirms what previous research has found: it is a myth that high mercury levels in pregnant mothers cause autism. “There are around 700,000 autistic people in the UK and, although the exact causes of autism are still not fully understood, research to date has shown it involves many complex and interacting factors, including genetics, the environment and the development of the brain. The Policy Paper Advice to eat fish at least twice a week during pregnancy lost in confusing guidelines was published by the University of Bristol in October 2017.